I worked at New York Cares from June 2011 through March 2014. My responsibilities during that time changed, grewn, and changed again, but some remained constant. Like designing, writing, and sending emails. Here are a couple examples of our monthly newsletter which goes out to a large majority of our volunteer base. In March 2012, I redesigned the email to cut down on text and increase the use of high-quality pictures so they would be more engaging. Email encouraging volunteers to sign up for projects in their neighborhood. 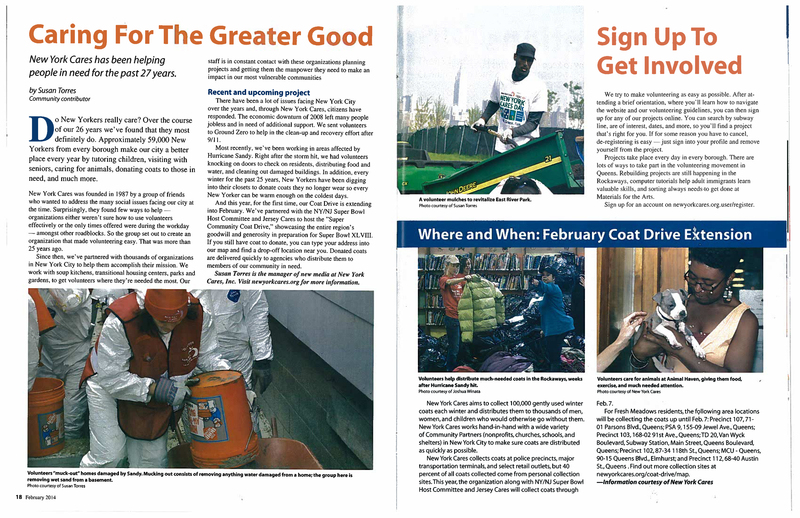 I wrote this article summarizing the work of New York Cares and our need for coats in 2013 for a local community magazine. 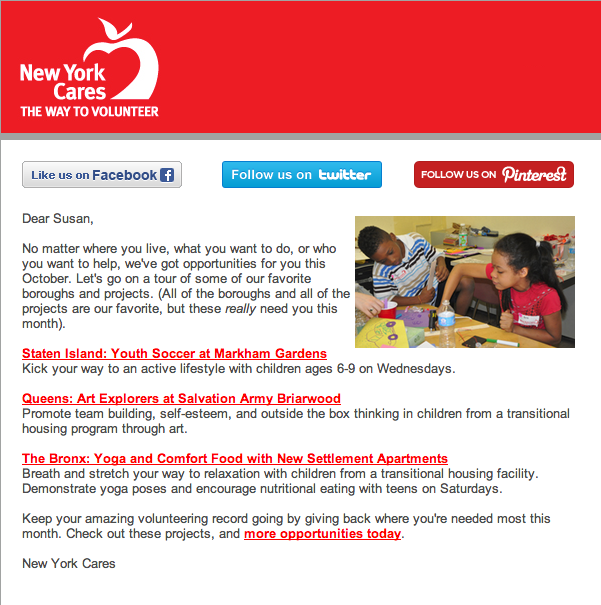 This entry was posted in New York Cares and tagged blogging, disaster response, email marketing, gardens, marketing, Metro Areas, new york, new york cares, new york city, New York City Metro, parks, rockaways, sandy, volunteer. Bookmark the permalink.